For those of us in the Northern Hemisphere, December is a very dark month (the farther norther, the darker.) It's no coincidence that our distant ancestors created holidays around "lights", events that came down to us as Hannukah, St. Lucia Day, St. Martin's Day, the Thai holiday of Loi Kraothong, Diwali in India and, of course, Christmas. Perhaps, it's also a coincidence that we feel the loss of people close to us and/or people we respect more strongly this time of year. The world of creative American music has lost many musicians in 2013 and it seems that this December has been extremely tough. Perhaps the biggest shock is the passing of bassist Dwayne Burno (pictured above) who died on December 28 from complications of kidney disease. Burno, a native of Philadelphia, PA, worked with so many musicians, from pianists Harold Mabern and George Colligan to trumpeters Jeremy Pelt, David Weiss, and Wallace Roney to vocalist Abbey Lincoln. - he was so popular because he was such a solid and fluid player. His bandmates could always count on Burno to create a strong foundation for them to work off of. Yet, if the listener paid close attention, you could hear how creative the bassist could be playing counterpoint to the soloists, his great sense of melody shining through. Dwayne Burno leaves behind his wife Wendy and 7-year old Quinn. There is a way to help his family with expenses - working musicians rarely have access to good health insurance (perhaps the Affordable Care Act will help to change that) - by going to fundly.com/our-friend-wendy-just-lost-her-husband-and-needs-help and making a contribution. 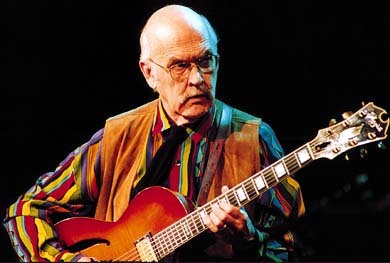 In the past few weeks, we have been notified of the passing of guitarist Jim Hall, saxophonist Herb Geller (pictured left), pianist Stan Tracey, drummer Ricky Lawson, pianist Boyd Lee Dunlop, the celebrated reed master Yusef Lateef and, in late November, drummer/composer Chico Hamilton. With the exception of Lawson (59 years old), these fine musicians were over 80 years old and most of them were still active (or had been active up to the past year.) Pianist Dunlop, the brother of drummer Frankie Dunlop (Thelonious Monk), had returned to performing and recording music in 2010 after a 5-decade layoff. Herb Geller, who played alto saxophone as well as flute, moved to Europe in the early 1960s, settling in West Germany where he had a long and busy career as a musician and educator. You can find out more by going to www.theguardian.com/music/2013/dec/29/herb-geller. If you can find the time, check out any of these musicians that you might be unfamiliar with to find out why and how their music brought light to this often dark world of ours. When I first discovered the recordings of drummer Shelly Manne, the scope and breadth of the music was quite impressive. Tucked away in his discography on Contemporary Records with his group, "The Men", is "Volume 6" featuring an expanded group (10 musicians) performing "Concerto for Clarinet and Combo." Composed by clarinetist Bill Smith, the music mines the rich veins of jazz, blues and classical music. Smith, born in Sacramento, California, in 1926, studied at Mills College, University of California/Berkeley and the Juilliard School, has spent much of career teaching at the University of Washington but did perform and record with pianist Dave Brubeck off and on for several decades. Clarinetist/composer Mike McGinnis (The Four Bags, OK|OK) first learned about Smith's "Concerto.." from WNYC-FM host and composer David Garland. McGinnis visited Smith in Seattle and sowed the seeds that has resulted in "Road*Trip" (RKM Music), the debut CD by Mike McGinnis + 9. With an ensemble that features Jeff Hermanson (trumpet), Justin Mullens (french horn), Brian Drye (trombone), Matt Blostein (alto saxophone), Peter Hess (tenor saxophone), Barry Saunders (baritone saxophone) plus the rhythm section of Jacob Sacks (piano), Dan Fabricatore (bass) and Vinnie Sperrazza (drums), McGinnis illustrates how the 3-part "Concerto" does seamlessly evoke the "big band sound" that the composer grew up idolizing but also how an intelligent arranger could create a piece that so wonderfully blends the excitement of a strong soloist with ensemble parts that truly move the music forward. To make his discovery of Smith's music come full circle, McGinnis composed "Road*Trip For Clarinet & 9 Players" - in the liner notes, the composer notes the influence of Smith's composition as well as his work with Anthony Braxon on his visionary "Trillium E" opera. One can hear how McGinnis's work updates the ideas behind the "Concerto", how it gives more space and importance to the rhythm section (Sperrazza's work is exemplary) and this composer's voicings make the band musch larger than 10 pieces. The best way to listen to "Road*Trip" is to first concentrate on the fascinating arrangements, then the rhythm section and finally to revel in the luxurious solo work of Mike McGinnis. As a closing treat, "Road*Trip III: Up and Out" features short solos by the entire ensemble plus a brilliant call-and-response for clarinet and 9 players. It's a wonderful way to complete a "wonder-filled" trip! For more information, go to www.mikemcginnis.com. Composer/guitarist/arranger Justin Morell also creates a fusion between classical forms and jazz ensemble on his new recording "Subjects and Complements" (Sonic Frenzy"). Credited to the Justin Morell Dectet, the majority of the pieces feature Bob Sheppard (alto and soprano saxophones), Ben Wendel (tenor saxophone, bassoon), Phil O'Connor (bass clarinet, tenor and soprano saxophone), John Daversa (trumpet, flugelhorn), Alan Ferber (trombone), George Thatcher (bass trombone), Leonard Thompson (piano), Damian Erskine (electric bass) and Mark Ferber (drums) - tenor saxophonist Matt Otto is featured on 5 tracks, standing in for either Wendel or O'Connor. The 12-song program opens with the longest track (nearly 11 minutes), "Noun Ember", a finely constructed piece that has well-defined sections, an active arrangement and several smart solos. Morell follows that expansive work with the first of 5 fugues that are spread across the program. "Fugue in B, in three voices"; this uncluttered work truly illustrates what a fugue is, in many ways related to the call-and-response of blues and jazz but with the added element of a third "voice" playing "counterpoint" to the original melody (read a good definition here). Morell's "Fugue in B-flat, in three voices" is set to an infectious and often beat while "Fugue in E-flat, in five voices" opens with Mark Ferber's drums as the first "voice" and the rest of the instruments build from his part. "Fugue in E, in three voices" has the feel of progressive rock while "Fugue in C, in 3 voices" reminds this listener of a work by Erik Satie with its gentle melody lines. "Subjects and Complements" was issued in November of this year and the music has posited itself in my ears ever since. The subtlety of the arrangements, the mature melodies, and the seemingly ego-less playing of the Dectet make this a joyous listen. Justin Morell is a voice and musician who gives one much for the future of creative music and this CD is well worth exploring time and again. For more information, go to justinmorell.com. Received a complimentary note plus CD from Paris-based composer/ vocalist Loïs Le Van, "The Other Side" (Hevhetia) a few weeks after Thanksgiving. Turns out M. Levan is an up-and-coming star on the European jazz scene, a vocalist who has studied with Roger Letson and David Linx, taken "Master Classes" with people such as Kurt Elling and saxophonist Mark Turner, and won the 2012 "Voicingers" contest held in Poland. Levan is a member of the a cappella sextet Ego-System, leads duos with guitarist Aliocha Thevenet and pianist Sandrine Marchetti plus sings with Belgian jazz/rock group Canopee. The CD closes with "Are We The Unknown (Ana Maria)", opening with mesmerizing piano and lyrical french horn, before the vocal enters. The beautiful melody, composed by Mr. Shorter for his "Native Dancer" Lp", here retains its Brazilian roots but M. Vaiana's lyrics and Ms. Marchetti's arrangement inject a touch of melancholy. "The Other Side" serves as a fine introduction to the work and generous spirit of Loïs Le Van. While the CD is not scheduled for release until well into 2014, be on the lookout for it as, hopefully, you'll be as moved by the music the way that I am. To find out more, go to www.loislevan.com/english/. I promise - this is it. Making up my mind has always been an issue (except for my favorite flavor of ice cream) and this List is approaching record (no pun intended) numbers. Noah Preminger released his 3rd CD as a leader and continues to mature as a musician and composer. "Haymaker" (Palmetto Records) features Ben Monder (electric guitar), Matt Pavolka (bass) and the exciting Colin Stranahan (drums). The leader wrote 7 of the 10 tracks, building most of the pieces off the fine interplay of the rhythm section and Monder's often brilliant accompaniment. A highlight of the young tenor saxophonist's career is his work on ballads which one hears on pieces such as "My Blues for You" and "Tomorrow" are exemplary. This is a working group so one would be wise to catch them in person. 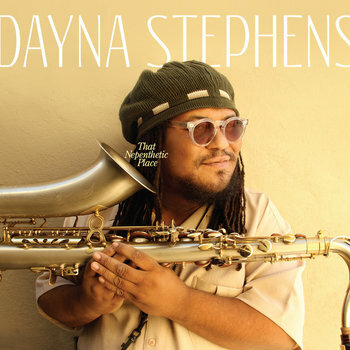 Tenor saxophonist/composer Dayna Stephens also continues to impress with this smashing Sunnyside release "That Nepenthetic Place" - like Preminger above (and the saxophonists below), Stephens is a fine composer, playing to his (and his bandmates') strengths. Joe Sanders (bass) and Justin Brown (drums) join Taylor Eigsti (piano) to create a formidable rhythm section. With guest such as Ambrose Akinmusire (trumpet), Jaleel Shaw (alto saxophone) and Gretchen Parlato (vocals), these tracks crackle with excitement and ingenuity. 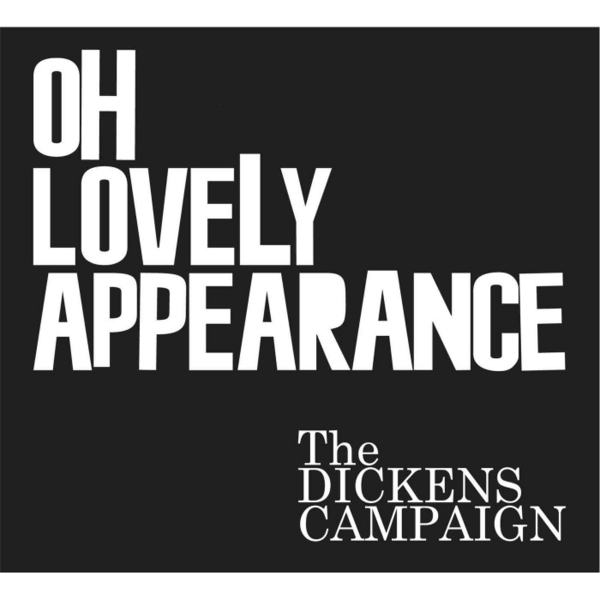 The Dickens Campaign is the trio of Kirk Knuffke (cornet), Jesse Lewis (guitar) and leader/drummer Deric Dickens and "Oh Lovely Appearance" (self-released) is a fine and fun collection of tunes dedicated to the work of musicologist Alan Lomax. There's blues, gospel, country, folk, hard rock, jazz and more coursing through the 44-minute program. Knuffke continues to impress as one of the more "soulful" young brass players and Dickens is a player who does not need to show off; instead, each song has its own personality. Oh, what fun! For more information, go to www.dericdickens.com. The latest Steve Coleman & Five Elements CD is a quintet hit titled "Functional Arrhythmias" (Pi Recordings); the music has a danceable quality thanks to the superb bass and drums of Sean Rickman and Anthony Tidd. The rhythm guitar work of Miles Okazaki gives great support to the front line of Coleman (alto saxophone) and the fine young trumpeter Jonathan Finlayson. As one works his way through the songs, melodies arise over the powerful rhythm tracks and you can really hear how the sax and trumpet weave through. Funky, rich and pleasing listening, Steve Coleman continues to blaze trails. Finlayson's debut as a leader came out this year on Pi Records as well. "Moment and the Message" also features guitarist Okazaki alongside pianist David Virelles, bassist Keith Witty and drummer Damion Reid. While the focus is most certainly on the excellent musicianship, do not ignore the leader's fine compositions as well as his smart arrangements. There is so much going on that one is continually surprised when returning to the CD. Information about this release and the Coleman disc can be found at pirecordings.com. 2013 was a splendid year for creative music and there is much to be thankful to for. Most of all, I'm thankful to you, dear reader, as I begin the 5th year of blogging about music in Connecticut and the music that comes to me from around the world. Merry Christmas, Happy New Year, and may 2014 bring the peace and tranquility that we all yearn for. Grading is mostly done, meetings completed for this calendar so, now back to my favorite recordings of 2013. These posts looks at ensembles of all shapes and sizes, save for big bands. Tarbaby - the trio of Orrin Evans (piano), Nasheet Waits (drums) and Eric Revis (bass) - is an ensemble that never plays it safe. 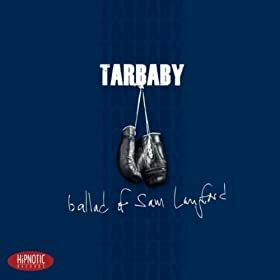 Its 3rd CD, "Ballad of Sam Langford" (HipNotic) is, at turns, raucous, political, experimental, "free" and funky, featuring Oliver Lake (alto saxophone) and Ambrose Akinmusire (trumpet), both of whom display fire and flair when they play. The trio breathes as one throughout and never cut corners or look down on the listener. Honest and brave music, deserving of a wider audience. Honorable mention goes to bassist Revis's Clean Feed release of 2013 "City of Asylum", also a trio recording, this one featuring drum master Andrew Cyrille and the classy pianist Kris Davis. Recorded right after the group was formed, the music is free yet rarely formless. Reports of the trio's live shows says the music is even more expansive as the musicians continue to push each other. 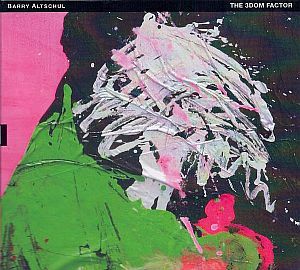 Drummer/composer Barry Altschul returned as a leader this year with "The 3Dom Factor" (TUM Records), an ensemble that features the elastic and exciting bass work of Joe Fonda alongside the ever-maturing saxophone playing of Jon Irabagon. Like the trios above the music on this CD is expansive, fiery, often quite melodic, and, in Altschul's case, a true rhythmic treat. Honorable mention goes to "Nameless Neighbors" (Sunnyside Records), the debut recording of the Nick Sanders Trio. Young Mr. Sanders, who turned 26 last week, is a fine composer and pianist who's not afraid to be melodic and emotional as well as intense and swinging. This is really good music. Saxophonist/clarinetist released 2 CDs of poetry and original music in 2013, both featuring the dynamic French pianist Laurent Coq with the rhythm section of Yoni Zelnick (bass) and Karl Jannuska For this edition of (drums). The initial release, "Words Project IV" (New Amsterdam Records), features the vocals of Christine Correa singing the words of poets such as Charles Simic, Carl Sandburg, Fernando Pessoa and George W. Bush (the former President might not view his effort as poetry), among others. The interaction of the rhythm section with the front line not only supports the vocals but adds different colors. 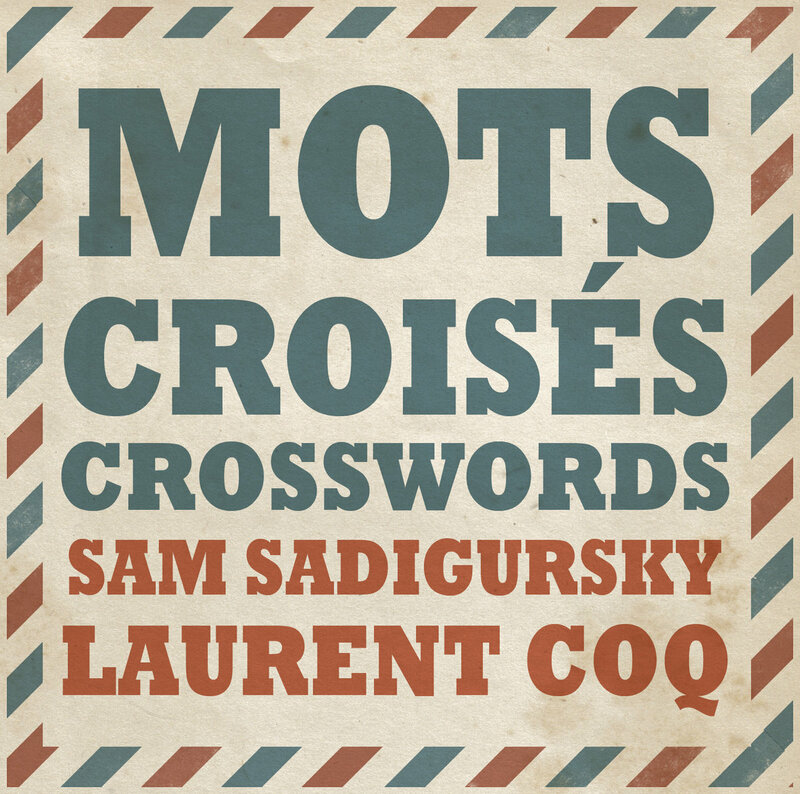 At the same time this program was created, Sadigursky and Coq also recorded "Mots Croises: Crosswords" (self-released), more words and poetry but this time with a different. The leaders chose 4 poems - one each by D.H. Laurence, William Carlos Williams, Blaise Cendrars and Eugene Guillevec - the saxophonist and pianist wrote music for each tune, with Ms. Correa singing the English lyrics and French chanteuse Laurence Allison singing the French lyrics. As a bonus track, Sadigursky wrote music for a poem by Mariel Rukeyser and the vocalists both sang in English. I'm not sure one disc is better than the other - I'd get them both. For more information, go to samsadigursky.com. 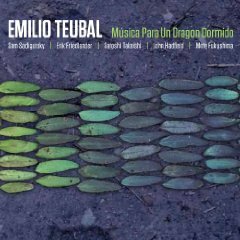 Sam Sadigursky is also featured as part of the sextet on "Musica Para Un Dragon Dormida" (BJU Records), the impressive 3rd release by pianist/composer Emilio Teubal. Percussionists Satoshi Takeishi and John Hadfield work alongside cellist Eric Friedlander and bassist Moto Fukushima to create a program that reflects the composer's Argentinean upbringing. Many of the pieces have rhythms that percolate and undulate, with Sadigursky playing clarinet in his clear, entrancing, tones. Teubal's music is often mesmerizing; one returns to this music to concentrate in the different musicians and their roles in this dramatic musical landscape. To find out more, go to www.emilioteubal.com. Bassist/composer/arranger Alexis Cuadrado created a splendid program of music for the New York poems of Federico Garcia Lorca. 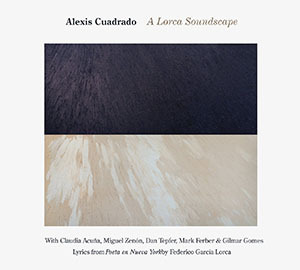 "A Lorca Soundscape" (Sunnyside Records) utilizes the talents of Dan Tepfer (piano), Miguel Zenon (alto saxophone), Mark Ferber (drums) in support of and in tandem with the striking vocal of Claudia Acuna. Percussionist Gilmar Gomes appears on 2 of the 7 tracks. The lyrics are dark, impressionistic, surrealistic, brooding, political and magical; the music is rhythmic, stark, melodic and, in its own way, magical. Find out more and listen to the program by going to sunnysidezone.com/album/a-lorca-soundscape. I'll wrap up my listening year in the next post. In the meantime, go safely and enjoy the Holidays. I so rarely review Holiday CDs but, in a year when there have been so few "mainstream" Christmas albums, several jazz-related releases have crossed the threshold and are well worth your attention. When you put pianist Ted Rosenthal, bassist Noriko Ueda and drummer Tim Horner together, the music has a swing, a lightness, a joy than transcends labels and styles. On "Wonderland" (Playscape Recordings), the trio tackles several Holiday standards, classical pieces, folk music and one very handsome Rosenthal original. Chances are good you've never heard a more uptempo version of "Angels We Have Heard on High" or a Caribbean-influenced Tchaikovsky's "Dance of the Reed Flutes", yet these versions make you smile. "Have Yourself a Merry Little Christmas" is filled with longing while "Sleigh Ride" glides along merrily (the rhythm section swings ever-so-gently). "Greensleeves" is such a pretty melody and Rosenthal's lush reading of the melody line opens up to a very handsome bass solo, all the while Horner's splendid brush work serves as a gentle breeze beneath his partners. There's quite a swagger to the blues-drenched version of "Santa Claus Is Coming To Town" and a joie de vivre to "Let It Snow", the piano gaily dancing atop the prancing rhythm section. Classy and sassy, "Wonderland" is a treat from start to finish, a pleasing stocking stuffer any time of year. For more information, go to www.tedrosenthal.com. 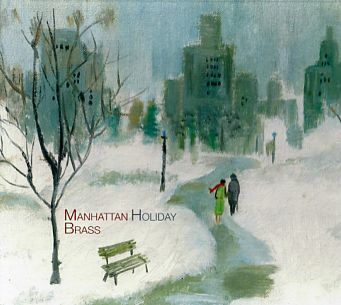 Manhattan Brass has been in existence over 2 decades; the quintet now includes R.J. Kelley (horn), Michael Seltzer (trombone), Wayne du Maine (trumpet), David Taylor (bass trombone) and Lew Soloff (trumpet), all of whom appear on "Manhattan Holiday" (self-released). The album contains standards, classical works, the Mel Torme-penned classic "The Christmas Song" and a pair of Thelonious Monk tunes "A Merrier Christmas" and "Stuffy Turkey" I had never heard before (Monk supposedly never recorded the former piece.) The program features 6 arrangements by Carla Bley, pieces that the Brass recorded in 2008 (when Ann Ellsworth was the horn player) - to fill out the CD, Soloff asked trumpeter Jack Walrath and he responded with 5 more pieces that the ensemble recorded in 2011 (it was he who brought the Monk pieces to the program.) Ms. Bley's recorded her arrangements of Holiday standards, such as "O Tannebaum" and "Joy To The World", with the Partyka Brass Quintet and bassist Steve Swallow for the Watt label. This CD opens with a New Orleans-infuenced arrangement (by Ms. Bley) of "It Came Upon a Midnight Clear" - that tune sets the pace for the program, with a touch of blues, a bit of irreverence and and a palpable joy in playing melodies. One can hear that joy shining through the raucous take on "Little Drummer Dude" (based on "Little Drummer Boy") - the horns take turns playing the staccato drum part and there is an Ellington-inspired break in the middle. It's tough not to smile through Walrath's arrangement of Respighi's "Siciliana" which moves in and out of its classical mode to allow for short solos by all involved. There's much to enjoy on "Manhattan Holiday" with the intelligent arrangements, the global scope of the music and the splendid playing of Manhattan Brass. By the time you arrive at the lovely rendition of "Joy To The World" (arranged by Ms. Bley), you'll be moved. Any evidence of "Bah Humbug" should dissipate. For more information, go to manhattanbrass.org. 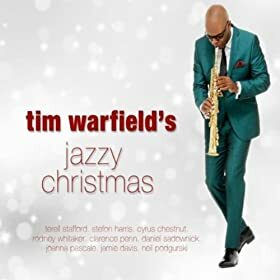 Saxophonist Tim Warfield's "Jazzy Christmas"(Undaunted Music) lives up to its name with 9 songs, many of which are traditional or standards - the bonus track, "The Dreidel Song", starts as a typical klezmer tune until the band swings the tune like a spinning top. What a band! The rhythm section, comprised of pianists Cyrus Chestnut (6 tracks) or Neil Podgurski (the remaining 4 tracks), Rodney Whitaker (bass), Clarence Penn (drums) and Daniel Sadownick (percussion), delight in these melodies. The front line includes the leader on tenor and soprano saxophones, Terell Stafford (trumpet) and Stefon Harris (vibraphone) plus vocalists Joanna Pascale (3 tracks) and baritone Jamie Davis (a very fine take of "Oh Christmas Tree"). 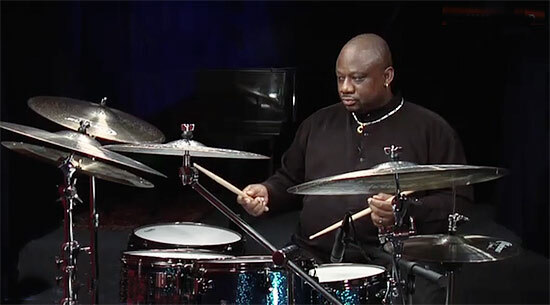 Highlights include a wonderful take of "Little Drummer Boy"; introduced by Penn's splendid drum solo, the song floats along atop Whitaker's strong bass foundation and features fine solos by Harris, Warfield (soprano), Stafford and Chestnut. Ms. Pascale leads the band through a high-energy "Caroling Caroling", her vocal lines shadowed by Stafford and Warfield. "God Rest Ye Merry Gentlemen" is hardly restful as Penn and Whitaker push the band to play with fire. One hears a touch of John Coltrane in the waltz arrangement of "Joy To The World" and the leader's angelic soprano sax lines. The rendition of Claude Thornhill's classic "Snowfall", replete with sleigh bells and Penn's poly-rhythmic approach, is, at times, stormy (the interplay of Warfield's soprano with the drummer's fiery rhythms) yet sparkles with its creative interactions. 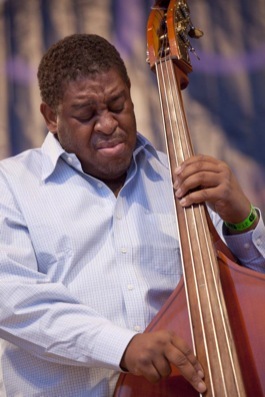 To find out more about Tim Warfield, go to www.messiah.edu/departments/music/tim_warfield/. Each one of these CDs had something to offer listeners who enjoy "standards" that are given new and creative treatments. Now, go give the gift of music! Enjoy! Jim Hall died on Tuesday, seemingly in the prime of his life. That's an interesting thing to write about an 83 year-old person but he was still quite active as a performer and recording artist. Best known for his work with drummer Chico Hamilton, saxophonist Sonny Rollins ("The Bridge"), clarinetist Jimmy Giuffre ("The Train and the River", "The Western Suite") and his duos with Ron Carter, Bill Evans and Bob Brookmeyer, Hall influenced a slew of musicians. He toured and recorded with Pat Metheny and Bill Frisell, recorded many Lps and CDs under his own name for labels such as CTI, Concord, Telarc and, most recently, ArtistShare. His innate sense of melody shown through every recording and live dates. When one would see him in concert, he did not play loud but, inevitably, the listener hung on every note - he wasted so few. To get a taste of his recent work, go to jimhallmusic.com/. He surely will be missed. 2013 was another banner year for large ensemble recordings. It's extremely hard to pick one above the others. We'll start with "In This Life", the latest Sunnyside release from flutist/composer Jamie Baum - the music, written for her Septet +, takes its cues from Ms. Baum's journeys to the Middle East and beyond as well as her love for the music of Nusrat Fateh Ali Khan. The arrangements are smashing, the musicianship exciting (the group includes trumpeter Amir ElSaffar, saxophonist/bass clarinetist Douglas Yates, guitarist Brad Shepik, pianist John Escreet, bassist Zachary Lober, drummer Jeff Hirschfield, French hornist Chris Komer, plus guests Dan Weiss (tablas), Taylor Haskins (trumpet) and Samuel Torres (percussion) with the results dazzling and emotionally strong. For more information, go to www.jamiebaum.com. 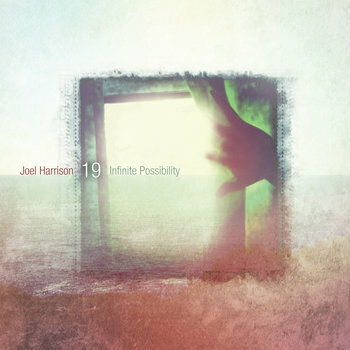 Guitarist/composer Joel Harrison wisely titled his 2013 Sunnyside release "Infinite Possibility" - he created the 6 compositions for a 19-member ensemble that includes a number of great soloists (saxophonists Donny McCaslin and Ned Rothenberg, trumpeters Taylor Haskins and Justin Mullens plus trombonists Alan Ferber (see below) and Jacob Garchik) and a stellar rhythm section (bassist Kermit Driscoll, pianist Daniel Kelly, percussionist James Shipp and drummer Rob Garcia). With influences of modern classical and progressive rock music rubbing musical elbows with jazz and blues, the music rises out of the speakers with a majestic roar and hushed poetic images. Mr. Harrison has shown himself to be one of the most creative voices in contemporary music - you can truly hear that on this CD. For more information, go to joelharrison.com. The third of 3 excellent Sunnyside releases to feature large ensembles (I never had the opportunity to hear the John Hollenbeck release from earlier in the year) comes from trombonist/composer Alan Ferber. "March Sublime" bristles with energy, blending intelligent compositions with exciting arrangements and splendid soloists. Powered by the leader's twin brother Mark on drums, bassist Matt Pavolka, pianist David Cook and guitarist Anthony Wilson, the songs feature smart solos by the likes of Taylor Haskins, saxophonists John O'Gallagher, Chris Cheek and John Ellis, trombonists Ferber, Josh Roseman and Ryan Keberle plus others. For more information and the opportunity to hear 2 tracks, go to sunnysidezone.com/album/march-sublime. 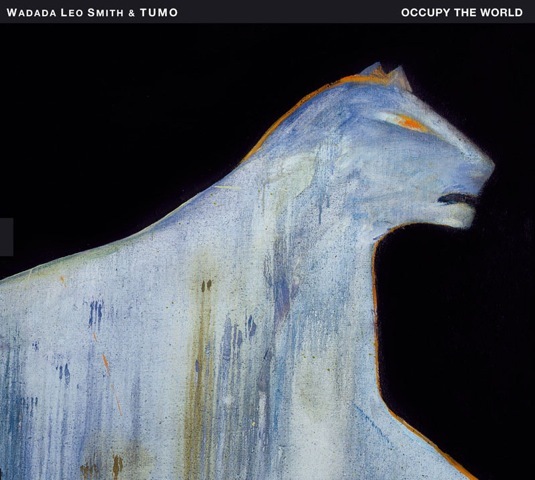 In 2012, Wadada Leo Smith issued "10 Freedom Summers", this year "Occupy The World" (TUM Records) with the TUMO Orchestra. While the music on the former recording celebrates and/or commemorates the Civil Rights Movement of the 1950s and 60s (and beyond), the music on the latter not only has political overtones but also includes dedications to Marion Brown and bassist John Lindberg. The 22-member ensemble, comprised of the finest improvisers from Finland and the Nordic region, gives life to Mr. Smith's stunning abstract compositions. As usual, the trumpeter plays with a clarity and brilliance that stands out above the melodies. To find out more, go to www.tumrecords.com/037-2-occupy-the-world. Most recently, Marty Ehrlich's Large Ensemble is featured on "A Trumpet In The Morning" and it deserves to be on the "Best of" list for this and every year as does "Wild Beauty", a celebration of the music of Joe Lovano as arranged by Gil Goldstein and performed by the Brussels Jazz Orchestra. I'm saving both for next year. Next time out, "Best of" trios, quartets, quintets and sextets. With the Holiday season having descended upon us, we often lose track of time and events. In yesterday's posting (here), I mentioned concerts in New Haven and Old Lyme while neglecting the monthly "Improvisations" series at Real Art Ways, 56 Arbor Street in Hartford. This month, curators Joe Morris (guitar, bass) and Stephen Haynes (trumpet, cornet, flugelhorn) welome Ingrid Laubrock to partake in the musical conversation. 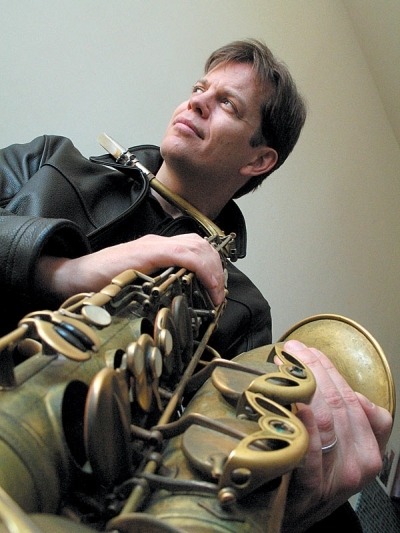 The German-born saxophonist (tenor, soprano) who spent several decades in London and now resides in Brooklyn, NY, leads or co-leads several groups, among them Sleepthief (with Liam Noble and Tom Rainey), Anti-House (with Rainey, Mary Halvorson,John Hebert, and Kris Davis), and LARK (with Rainey, Ms. Davis and Ralph Alessi). She is both a thoughtful and expansive player as well as a composer who writes to the strengths of her collaborators. No stranger to free improvisation, Ms. Laubrock will make a formidable partner for Messrs. Morris and Haynes. Their encounter takes place Thursday, December 12, at 7 p.m. For more information, go to www.realartways.org. To find out more about the saxophonist/composer, go to www.ingridlaubrock.com. Bassist/composer Mark Dresser and his accomplished Quintet are featured in this Friday's concert (12/13) at Firehouse 12 in New Haven, the ultimate show in the Fall 2013 Concert Series. The bassist, who last appeared in the venue as part of Trio M (with Myra Melford and Matt Wilson) in April 2012, is touring with the musicians (all but drummer Tom Rainey) from his most recent recording for Clean Feed Records, "Nourishments." Notice the "m" theme as the group includes Michael Sarin (drums), Denman Maroney (piano), Rudresh Mahanthappa (alto saxophone) and Michael Dessen (trombone). The interactions displayed by the musicians on the CD translate well to live performance as Dresser's compositions blend composed "through lines" and improvisations. The blend of the vibrant alto saxophone with the blustery yet melodic trombone, spurred on by the strong piano work, involves the listener multiple levels. Maroney's celebrated "hyper-piano" is in full bloom throughout the session. The Mark Dresser Quintet plays 2 sets - 8:30 and 10 p.m. - tickets are still available so go to firehouse12.com or call 203-785-0468 for more information. The Side Door Cafe at the Old Lyme Inn has another busy weekend of great music. Friday, they present the Bruce Barth Quartet, an ensemble that finds the pianist (pictured left) in musical conversation with the great Steve Nelson (vibraphone), Vicente Archer (bass) and Montez Coleman (drums). Nelson appears on several of Barth's CD including 2012's "Three Shades of Beauty" (Savant). Barth is a fine pianist who can play with equal shades of fire and gentleness, has a penchant for strong melodies and intelligent interactions. On Saturday, pianist Kevin Hays returns to The Side Door, this time with a Trio featuring bassist Rob Jost and drummer Greg Joseph. Together, they go by the name of The New Day Trio and have been performing a new book of pieces Hays composed for the ensemble. Hays, who spent his childhood in Greenwich, CT, has worked with Joshua Redman, Chris Potter, Benny Golson, Roy Haynes and many others yet has also led his own groups for nearly 2 decades. For more information about these shows and upcoming ones as well, go to thesidedoorjazz.com or call 860-434-0886. The Uncertainty Music Series continues on Saturday (12/14) with a double bill that features the Joe Moffett/Kristin Slipp Duo plus Jacket Thor. The latter is the name for the duo of Ryan Kalentkowski (guitar) and Marco Vernacatola (drums). Their music blends folk, rock, punk and other influences. Trumpeter Joe Moffett has worked with vocalist Kristin Slipp for the past 5 years, creating music under the name of Twins of El Dorado. They call themselves a "modern song ensemble", music that brings in myriad influences from different genres. Ms. Slipp also works with keyboard artist Dov Manski - their debut CD was issued earlier this year on Sunnyside Records. The show starts at 8 p.m. and takes place at Never Ending Books, 810 State Street in New Haven. For more information, go to uncertaintymusic.com. The Best of 2013 continues with 2 solo piano recordings. Having seen and heard Myra Melford play solo over 2 decades ago, I often wondered why the pianist/composer did not do that more often. She has a strong left hand - actually she's quite the two-handed pianist -and has recorded numerous duos with the likes of Marty Ehrlich, Tanya Kalmanovitch and Han Bennink. She became inspired by the paintings of Don Reich, a family friend and, like the pianist, a long-time resident of California. Reich's work has always been a source of inspiration for Ms. Melford and he gave her a group of paintings as well as drawings to hang in her studio to see what might happen. "Life Carries Me This Way" (Firehouse 12 Records) is the result; the package comes complete with the paintings that inspired the music. This is a wonderfully personal experience, contemporary music that wears any of its influences very lightly and truly invites the listener in. Look at the paintings, listen to the piano, forget about drawing conclusions, just soak in these sounds. For more information and to listen for yourself, go to firehouse12records.com/album/life-carries-me-this-way. 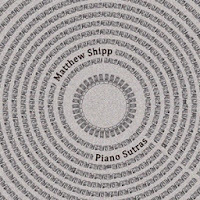 There's a similar feel to "Piano Sutras" (Thirsty Ear), the latest solo venture from pianist/composer Matthew Shipp. The notoriously outspoken Mr. Shipp rarely has sounded as good as he does on these 13 tracks, all but 2 - "Giant Steps" and "Nefertiti", the shortest ones - original compositions. He has such a fertile mind, such a great sense of dynamics, with melodies that often sound like either short stories or fragments of poems. Also enjoyable is that one seems to hear something new each time out. I'm not sure Matthew Shipp has ever gotten enough credit for the strength of his compositions; these are among his finest. 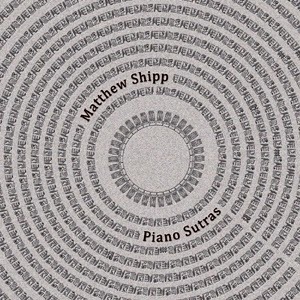 The presence of the piano on this CD stands out from the rest of his Thirsty Ear catalogue, even his most recent solo effort, 2010's "4 D."
For more information, go to www.matthewshipp.com. Next post will include the Best of Large Ensembles and there are a slew. I've been writing about music since my Freshman year in college, nearly 5 decades. Starting with reviews of live performances and moving on to Lps, then to cassettes, the CDs and now mp3s, digital downloads or a combination of list, save for cassettes, music has been a major part of my existence. My first date with the young lady who became my wife was a show that featured the Paul Butterfield Blues Band on tour supporting the release of "The Resurrection of Pigboy Crabshaw", a band that featured guitarist Elvin Bishop, drummer Phil Wilson and alto saxophonist David Sanborn. We ended up back in Middletown, CT (our hometown) and a great place to be if one was interested in expanding his musical vocabulary. Over the decades, Wesleyan University has had a strong music department, especially in African American music and ethnomusicology. People such as Bill Barron, Bill Lowe, Anthony Braxton, Jay Hoggard, Alvin Lucier, Ron Kuivila, and Ed Blackwell have taught students such as Royal Hartigan, David Bindman, Taylor Ho Bynum, Chris Dingman, Matt Bauder, Mike Hefley, Mary Halvorson, Tyshawn Sorey, and Carl Testa, all of whom I got to see and hear perform. I have had the privilege to write for The New Haven Advocate, CADENCE Magazine, and The Hartford Courant and have had the opportunity to vote in the Downbeat Critics Poll and the yearly Jazz & Pop Poll. I have met so many fine people, musicians such as Noah Baerman, Jaki Byard, Kevin O'Neil, Henry Lugo, Professor Neely Bruce, Anna Barron, Joe Fonda, Michael Pestel, Mario Pavone, Thomas Chapin, Ben Allison, Ron Horton, Frank Kimbrough as well as music supporters Chuck Obuchowski, Jason Crane (on-line, at least), Ed Krech, Robert & Susan Rusch, Ann Braithwaite, Maurice Robertson, Joe Rybczyk and so many more. I owe them all great thanks. I'm usually not so nostalgic at the end of the year (no, only every day) but 2013 has had numerous challenges, triumphs and sadness. Through it all, music played in the foreground, in the background and running through my sub-conscious. Loyal readers know that there is no such thing as the Step Tempest Top 10 or, even, 15. This year, I'm breaking my favorite recordings into 5 categories e.g., vocalists, large ensembles, solo, trios-quartets-quintets, and modern classical. Your feedback is always welcome. 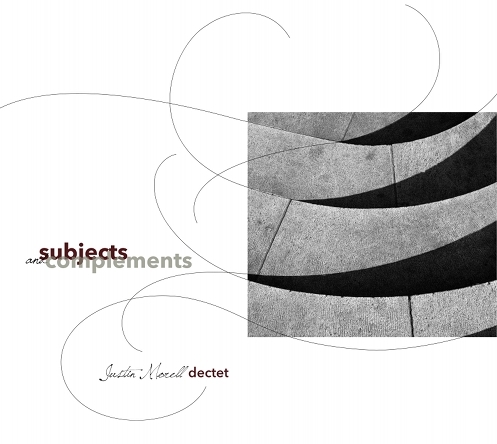 Depending on the day and my mood, my favorite vocal CD this year has either been "Space and Time" (self-released) by Nicky Schrire and "Attachments" (Jazzed Media) by Lorraine Feather. Ms. Schrire's 2nd CD, produced by Matt Pierson, is a series of duets, 4 tracks each with pianists Gil Goldstein, Gerald Clayton and Fabian Almazan. The pianists bring different individual strengths while Ms. Schrire sings with clarity, with emotional strength and a joyousness that cannot be faked (one knows when a singer is not honest - doesn't bother everyone but....). From originals to standards to popular songs to pieces that reflect her South African upbringing, Nicky Schrire's music just might transcend space and time. "Attachments" is truly wonderful music that blends jazz, pop, soul, classical, funk, and country-rock into a satisfying stew. Discovering the music of Lorraine Feather has made my life infinitely better - no, honestly - because these songs are the work of someone who is nearly a contemporary and proves there is no need to be fenced in by a genre or subject matter or that "playing music" can truly be "playing." The work of the pianists - Dave Grusin, Shelly Berg and Russell Ferrante - is splendid as are the contributions of bassist Michael Valerio, guitarists Grant Geissman and Eddie Arkin (also an arranger and co-writer), drummers Michael Shapiro and Gregg Field, percussionist Tony Morales, the bass clarinet of Bob Mintzer and especially the super violin playing of Charles Bisharat. At the forefront is that voice, at times plaintive, on occasion with a wise-guy attitude, smooth and clear (her background vocals are mighty impressive) and above all, emotionally honest. This was not the only release from Ms. Feather in 2013. She partnered with pianist Stephanie Trick to create the duo "Nouveau Stride" and the CD titled "Fourteen" (Relarion Records). Rags and stride tunes, most blessed with Ms. Feather's fun and insightful lyrics, that should be heard. Other strong releases include "Liquid Soul", Gregory Porter's Blue Note debut, "Winter Morning Walks" (Artist Share), the glorious orchestral music Maria Schneider composed for vocalist Dawn Upshaw and the soulful swing yet very adult subject matter of "What I See" (Jazzed Media), the latest release from Judy Wexler. All are worth your time and attention. The Side Door at the Old Lyme Inn continues is impressive run of shows this weekend starting Thursday 12/05 with an appearance by the Donny McCaslin Trio. The saxophonist/composer, who appears regularly with the Maria Schneider Orchestra, has led his own groups since the 1990s but is best heard in a small group. For this date, he partners with bassist Scott Colley and the Hartford native Jonathan Barber (drums). Expect this music to go in many directions as McCaslin is not only a player who loves melody but also enjoys really digging into a solo and seeing where it takes him and his fellow musicians. Considering the pedigree of the rhythm section, the possibilities are endless. Doors open at 7:30 p.m. with the first set commencing at 8:30. The following night, the club welcomes percussionist/composer Samuel Torres and his Octet. The Colombian-born musician will present the CT premiere of a new work, "Forced Displacement", whose creation was supported by Chamber Music America/ The Doris Duke Charitable Fund. Listen to this great lineup: Alex Norris (trumpet), Yosvanny Terry (saxophones), Ryan Keberle (trombone), the great Luis Perdomo (piano), Ricky Rodriguez (drum set), and Jonathan Gomez (Colombian percussion) join Torres for this fascinating musical adventure. Showtime is 8:30 p.m. For more information about Torres and his music, go to www.samueltorres.com. Saturday night, the Side Door opens its doors to vocalist Shawnn Montiero and her fine Trio that includes Mike Renzi (piano), Nat Reeves (bass) and the legendary Jimmy Cobb (drums). Ms. Montiero, who is adjunct faculty at the Hartt School of Music/Jackie McLean Institute of Jazz, seemingly can sing anything, from ballads to swing to Latin-infused melodies. With this sparkling rhythm section, this should be a memorable evening. For more information about the club, go to thesidedoorjazz.com. Check out the site for 2014 dates including the Matt Wilson Quartet with John Medeski (1/28) and the return of Fred Hersch, this time with his Trio in tow (2/07-08). Ralph Peterson and the Fo'Tet play 2 sets - 8:30 and 10 p.m. - for more information, go to firehouse12.com. To get a taste of the drummer's music, go to www.ralphpetersonmusic.com. The following night, the New Haven Improvisers Collective return to the Firehouse with a new program. Electronhic features NHIC founder/guitarist Bob Gorry in collaboration with Chapman Stick artist Brett Bottomley, Jeff Cedrone (electric guitar), Paul McGuire (saxophones, shawm) and Pete Riccio (drums). Because of the improvisatory nature of the music, this should be a challenging and rewarding show, with the musicians pushing each other continuously. The first set begins at 8:30 p.m. and more information is available at the venue's website above. To learn more about the various programs and groups associated with the NHIC, go to www.nhic-music.org/. The Uncertainty Music Series continues with yet another fascinating double bill, this one featuring the trio of Phillip Greenlief (pictured left, saxophones), Taylor Ho Bynum (cornet) and Carl Testa (bass) paired with the duo of Anthony Coleman (organ) and Chris Cretella (guitar). The concert takes place Sunday 12/08 at 8 p.m. in a Elm City venue called Lipgloss Crisis, 756 Chapel Street in New Haven. Mr. Greenlief, who is based in Oakland, California, is the founder of Evander Music, a forward-thinking label that has issued CDs by bassist Todd Sickafoose, drummer Ches Smith, The Industrial Jazz Group, TinBag and a slew of groups co-led by its founder. Mr. Coleman is a keyboard player/composer most often identified with the Downtown Music Scene in New York City and John Zorn's Tzadik label. One expects an evening of inventive improvisations from both groups; after all, these are people schooled in the art of creative dialogue and interactions. For more information, go to uncertaintymusic.com. Gus Wildi, an enterprising Swiss-born jazz lover, started Bethlehem Records in 1953 and, over the course of 9 years (through 1962) released many Lps by jazz newcomers and jazz greats. After selling the rights to King Records, the recordings stopped coming and the music became a "hit-or-miss" situation for music lovers. Now, Verse Music Group and Naxos of America are combining to re-issue the label's music in digital, CD and vinyl formats. The initial 6 CDs came in early September with 3 more in the coming weeks and 6 more after New Year's Day. 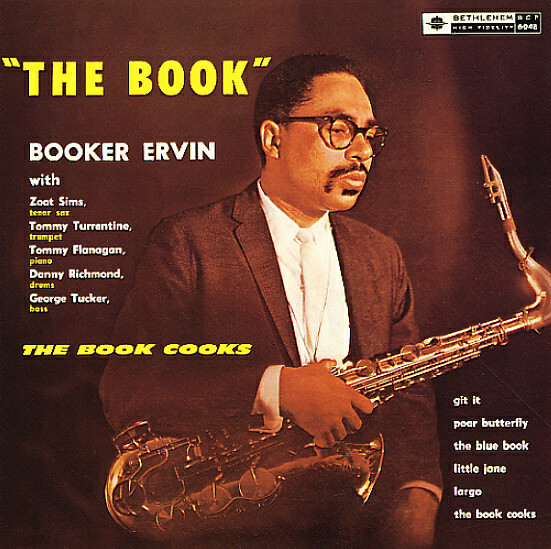 Among those first reissues is "The Book Cooks" from the Texas tenor saxophonist Booker Ervin (1931-1970). After a stint in the US Army, Ervin traveled around the country until pianist Horace Parlan convinced him to come to New York City. Within months, he was touring and recording with bassist/composer Charles Mingus. He recorded his debut Lp in April 1960 with a sextet featuring fellow tenor player Zoot Sims, Tommy Turrentine (trumpet), Tommy Flanagan (piano), the dependable bassist George Tucker and long-time Mingus associate Danny Richmond (drums). The music is infused with the blues - Ervin was quite the blues player - and everyone is in the groove. The front line gives a "little big band" feels to the proceedings, solos are, for the most part, short. The title track stretches to nearly 11 minutes and contains the most fiery playing on the session. The rhythm section does its share of "cooking" and provides a strong cushion for the soloists. The dialogue between Ervin and Sims bubbles over with excitement. Booker Ervin would go on to cut a series of strong recordings for Don Schlitten at Prestige Records that featured the great section of Jaki Byard (piano), Richard Davis (bass) and Alan Dawson (drums). He finished his career at Pacific Jazz and Blue Note Records before succumbing to liver disease in 1970. Listening to his debut, one can hear a style fully formed that he would maintain throughout his career. As debut recordings go, Nina Simone's "Little Girl Blue" (the original title was "Jazz as Played in An Exclusive Side Street Club") is nigh-on perfect. Joined on most tracks by bassist Jimmy Bond and drummer Al Heath (better known these days as "Tootie"), the leader's husky vocals and fine piano work make her sound so much older than the 25-year old on this Lp. She gives credit to JS Bach for introducing her to his world, writing "I wanted to be a concert pianist." After studying at the Julliard School in New York City, the North Carolina native worked as an accompanist until she decided how her career would go. The only original tune among the 11 tracks is the instrumental "Central Park Blues"; still, Ms. Simone makes pieces like "I Loves You Porgy" and "My Baby Just Cares For Me" (this version swings slyly) her own. On the title track, she juxtaposes the melody of "Good King Wenceslas" with the Lorenz Hart lyrics to great effect. Nina Simone (1933-2003) would go to create many memorable songs and concerts and one can hear the seeds of her long career on this debut recording. If you don't have it, the sound quality on this reissue is stellar. Other releases in the "first wave" include Dexter Gordon's "Daddy Plays the Horn", "The Jazz Experiments of Charles Mingus" from 1953, Chris Connor's "Sings Lullaby for Lovers" and the short (16 minutes) "Modern Quintet" from bassist/cellist Oscar Pettiford (originally released as a 10-inch Lp, it's worth it). There is not a clunker among them. 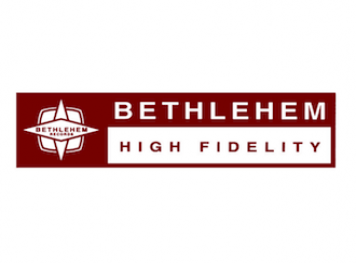 For more information, go to bethlehemrecords.com. Here's a brilliant idea for a big band recording - put together a series of compositions by Joe Lovano (whose career as a musician spans over 3 decades), give them to Gil Goldstein to arrange as a suite and get a top-notch ensemble to play these pieces. That's exactly what you get with "Sonata Suite for the Brussels Jazz Orchestra" (Half Note Records). The 17 musicians who make up the BJO (including Artistic Director and saxophonist Frank Vaganée) sound splendid on these 8 compositions by Lovano who also plays tenor saxophone throughout as well as 1 track that features his aulochrome (a soprano saxophone with 1 reed and 2 pipes - go to www.aulochrome.com/aulochrome to find out more). The entire program is dedicated to Lovano's mother Josephine (Giuseppina) Verzi Lovano who passed away in May 2012. A native of Cleveland, Ohio, her familiar roots were from Sicily and those roots reman an important touchstone for the saxophonists. 2 of the tracks, "Streets of Naples" and "Viva Caruso", come from his 2002 CD dedicated to the life and music of the great vocalist Enrico Caruso. That, too was a large ensemble effort (Goldstein appeared on accordion). 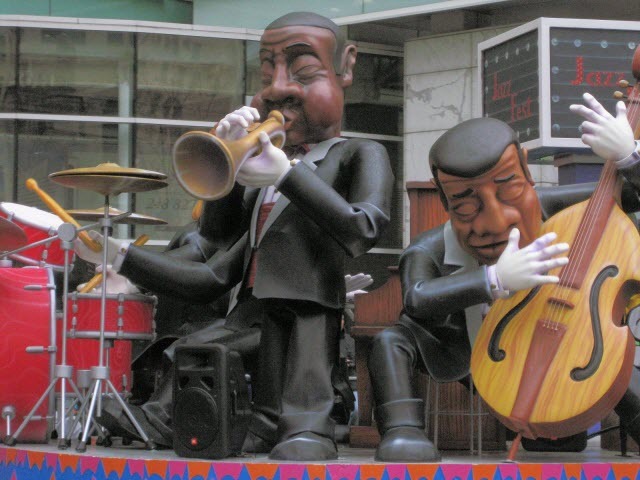 The pieces here retain the "folk" influence of the previous versions (especially "Streets of Naples") while the new arrangements emphasize section playing. Throughout the program, Lovano solos with abandon - in fact, the feeling of joy infuses most of the material. Even ballad pieces, such as "Sanctuary Park", glisten with creativity. The title track, first recorded by Lovano's Us Five, opens the program - it is also a ballad and has Lovano's most expansive solo with horn and reed voicings that display the influence of Gil Evans on the arranger. The rhythm section (guitarist Hendrik Breackman, pianist Nathalie Loriers, bassist Jos Machtel and drummer Toni Vitacolonna) are also stellar throughout with the drummer's easy yet forceful "swing" supporting and prodding the soloists. "Big Ben", dedicated to Ben Webster, has a wonderful moment in the middle of the solos where 4 soprano saxophonists trade "licks. Joe Lovano has a lage discography, filled with stunning trio efforts, work with Paul Motian, plus his "swing" nonet and other large ensemble recordings. The work done here by the saxophonist, by Gil Goldstein and the Brussels Jazz Orchestra is by no means a retrospective. Like many jazz musicians, Joe Lovano is continually exploring, finding alternative approaches to his original pieces. "Wild Beauty" is an apt description of this music and Lovano's seemingly limitless quest. As I write this, Joe Lovano begins a week-long residency (12/03-12/08) at The Stone in New York City to celebrate his 60th birthday. For more information about that and other matters Lovano, go to www.joelovano.com. Everyone is posting on various platforms on this day about what they are thankful for. As I get older, I find much more to be thankful for. Also, I find it disturbing that, in many instances, "them that's got" don't. They are cranky about the burgeoning gap between the rich and the poor in a way that blames the latter for being who they are. The United States has always been the country where you could pull yourself up by the bootstraps, especially if you had the help of your family, your religious community, your educational system, and, on occasion, your government. "Yes, the strong gets more/while the weak ones fade" is, sadly, as true now as when Billie Holiday and Arthur Herzog composed "God Bless The Child" in 1939 (recorded in 1941). There is a belief among many "That's just the way it is/some things will never change" (Bruce Hornsby), especially the freshmen I come in contact with in Fall Seminar I facilitate at Quinnipiac University. "What can I do?" is a question heard more often than I would believe and the best answer I can give is "Get involved" - you see something you don't like, find other people who believe as you do. With Facebook, Twitter, and other social media outlets, one is never more than a click or 2 away from making a connection and, yes, you have to suss them out to make sure these connections are real. There are so many examples of people who have made or are making a difference, one can always find a role model or a master to learn from. With "Best-ofs" right around the corner, I want to use this space to acknowledge those who make a difference in my life and keep me "keeping on." To my immediate family, I appreciate your patience in my endless quest for knowledge and fulfillment. From my colleagues at QU (Betsy, Tom, Fred, Ann, Michelle, Mark, and Joanne) to those at WMRD-WLIS (Barry, Bob, Phil, Ed H., Ed L., Don D. and Don M.) to those in my town (Stephan A., Rabbi Haaz, Debbie, Art Meyers), I am continually bolstered by their caring, their insights, explorations, sense of humor and sense of place. I would be remiss not to thank Ann Braithwaite, Jason Crane, Nicky Schrire, Matt Shipp, Matt Merewitz, Carl Testa, Taylor Ho Bynum, Stephen Haynes, Jason Paul Harman Byrne, Amy Cervini, Kari Gaffney, Lorraine Feather and so many others for their friendship, the music they make or send, and those other intangibles. And, of course, you, dear reader, who keep me honest as I write about the great music that comes to my door, my town and my state - "Ain't we got fun!" Firehouse 12, 45 Crown Street in New Haven, is trying something different this fall season, a concert on "Black Friday." And, not just any concert but a fiery mix of the composed music and improvisation courtesy of Peter Evans' Zebulon Trio with special guests Dave Liebman (saxophones) and Ron Stabinsky (piano). Evans, a trumpeter and composer whose, perhaps, best known for his work with Mostly Other People Do the Killing, is a truly creative player, who can move from melodic stretches to noisy "blats" in a heartbeat. Rounding out the Trio is the classy bassist John Hebert and drummer Kassa Overall. The Trio's debut CD, "Zebulon" (named after the now-defunct Brooklyn club where the recording was made), was issued earlier this year and has turned a lot of heads. Released on the trumpeter's More is More label, you can find out more by going to www.moreismorerecords.com/label.html. Adding the young pianist and the legendary veteran saxophonist ups the ante - it will be quite fascinating to see and hear where this music goes. The Zebulon Trio + guests will play 2 sets - 8:30 and 10 p.m - for ticket information and more, go to firehouse12.com. The Side Door at the Old Lyme Inn, 85 Lyme Street in Old Lyme (naturally), presents 2 nights of great jazz this weekend. 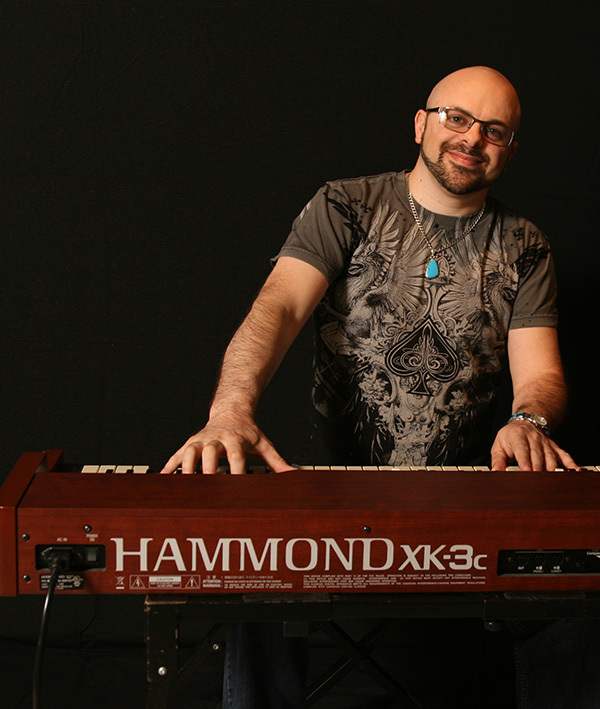 On Friday, the venue welcomes back pianist Glenn Zaleski with a Trio that includes Craig Weinrib (drums) and Hartford-native Dezron Douglas (bass). The pianist first appeared as a leader at The Side Door in August and then again on November 16 when he subbed for John Escreet in Jamie Baum's ensemble. He's a delightful player, with a penchant for melody but also acknowledges the percussive element of his chosen instrument. Zaleski is also an excellent composer and one expects the sets to be liberally sprinkled with pieces by the Trio. On Saturday night, The Side Door will "get down and get funky" thanks to the playful nature of the Jeremy Baum Trio. Baum (no relation to the flutist) brings a group featuring guitarist Chris Vitarello and the "chunky/funky" drums of Chris Reddan. The JB3 also first appeared at the venue in August, proceeding to turn plenty of heads. The leader has worked and toured with numerous ensembles including ones led by the late Melvin Sparks, Levon Helm, Shemekia Copeland and the North Mississipi Allstars. For more information, call 860-434-0886 or go to thesidedoorjazz.com. Dave Douglas turned 50 this year and to celebrate has vowed to play concerts in every one of the 50 states of the Union. The trumpeter and his top-notch quintet - Jon Irabagon (saxophones), Matt Mitchell (piano), Linda Oh (bass) and the irrepressible Rudy Royston (drums) appear this Thursday (11/21) in the Oasis Room of the Garde Arts Center, 325 State Street in New London. Earlier this year, the Quintet played at Firehouse 12 in New Haven, performing songs from their 2 most recents CDs, 2012's "Be Still" and 2013's "Time Travel." Expect a similar program although Douglas has such a large "book", he has the power to surprise an audience any night the Quintet hits the stage. For more information, go to www.gardearts.org. To see where Mr. Douglas and his various have touched down, go to 50.davedouglas.com. 2 nights later in the same room in the same venue, Sara Garazek (pictured left) brings her wonderful voice, music and quartet to New London. The vocalist, born in Seattle, Washington, moved to Los Angeles to study at the USC Thornton School of Music (where she is now on the faculty.) Her most recent recording, 2012's "Blossom and Bee", is a delightful collection of songs, many of which come from the Blossom Dearie songbook. Ms. Gazarek can put over a song with ease; she's not prone to vocal tricks, inhabiting the song with real personality and an honesty that can't be faked. Joining her on this tour is long-time accompanist Josh Nelson (piano) plus Sam Minaie (bass), Zach Harmon (drums) and guest vocalist Matt Dusk. The show starts at 8 p.m. Click the link above for ticket information or call the Garde Arts Center at 860-444-7373. Soprano saxophonist/composer Jasmine Lovell-Smith came to study at Wesleyan University in the Fall of 2012. A native of New Zealand, Ms. Lovell-Smith has lived in the United States since 2010 and released her initial Stateside CD with her Towering Poppies quintet, "Fortune Songs", before undertaking her studies. Over the past 15 months, she's been studying, composing and being part of the extensive University music community. Ms. Lovell-Smith informed me of the following event and I want to share it with you. This weekend (Saturday 11/23-Monday 11/25), the Wesleyan Experimental Music Group presents a 3-night Festival dedicated to "Dualities", musical conversations for 2 instrumentalists or voice at The Russell House, located at the corner of Washington and High Streets in Middletown. Saturday's sets will commence at 9 p.m. with operatic vocalist Stephanie Lavon-Trotter with pianist Ben Zucker performing the songs of Wesleyan composer Nathan Friedman. They'll be followed at 9:30 by Menschenduett, the duo of composer/clarinetist Sean Sonderegger and Nathan Friedman (here on clarinet) playing a blend of original compositions and improvisations. At 10 p.m., Jasmine Lovell-Smith joins forces with pianist Cat Toren (who is also a member of Towering Poppies) to create their own blend of lyrical improvisations. 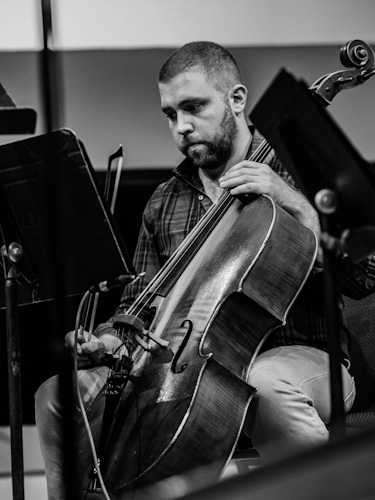 Sunday evening will belong to the duo of Christopher Otto (violin) and Kevin McFarland (cello, pictured left), members of JACK, a rising contemporary string quartet. The duo will play a set of music by the weekend's featured composers. The music begins at 9 p.m.
Monday evening, there are 2 sets opening at 9 p.m with the combination of Daniel Fishkin (daxophone?) and Matt Chilton (woodwinds, voice). The Festival closes with Sam Pluta (electronics) and Peter Evans (trumpet), creating a whirlwind of sounds. Evans, whose Zebulon Trio joins forces with Dave Leibman (saxophones) and Ron Stabinsky (piano) to perform at Firehouse 12 on Friday November 29, is one of the more interesting brass players on the contemporary music scene. 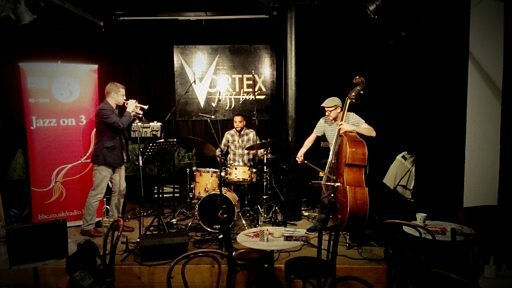 He's also a member of Moppa Elliott's Mostly Other People Do The Killing, a pre-emminent jazz quartet. The Wesleyan Experimental Festival is free and open to the public. If you need directions, call The Russell House at 860-685-2000.